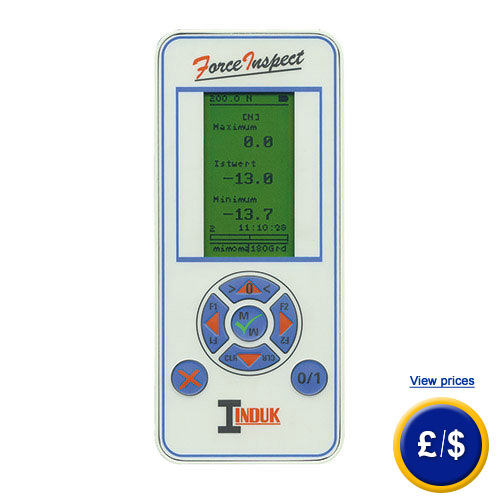 The electric torque measuring device is made to measure opening and closing moments, independent of any position. The torque measuring device TI112 series supplies a range of 0 … 1000 Ncm. Through its low measuring inaccuracy of ± 0.5 % (max.) of the final value, the torque measuring device show the real values of torques. This comfortable device is equipped with 7 buttons to ensure an easy manoeuvring of the clear display. For a really fast evaluation of values, two hot keys with often needed key combination can be used. The values can be shown separately or as a curve of all values. Besides actual values, there will be measurements of min and max values. On an internal and additional memory the values can be saved. Via several interfaces (USB, RS-232, CAN) the values can be transmitted onto a PC and Laptop. The enclosed software helps to analyse the measured values. This high sophisticated torque measuring device is suitable for a lot of technical applications in R&D. Also in production and quality control, this torque measuring device delivers reliable and reproducible results. 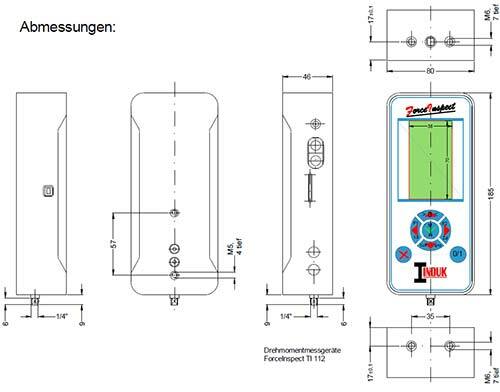 If there are any questions about the torque measuring device TI112 series have a look at the technical specification below or call: UK customers +44(0) 23 809 870 30 / US customers +1-410-387-7703. Our technicians and engineers will gladly advise you in all torque measuring devices and all products in the field of measuring instruments, regulation and control and scales. For companies that will integrate the torque measuring device TI112 series into their internal pool of measuring instruments. An annual recalibration is also possible. This certification is according to ISO and includes a calibration with a test certificate of all measurable values.